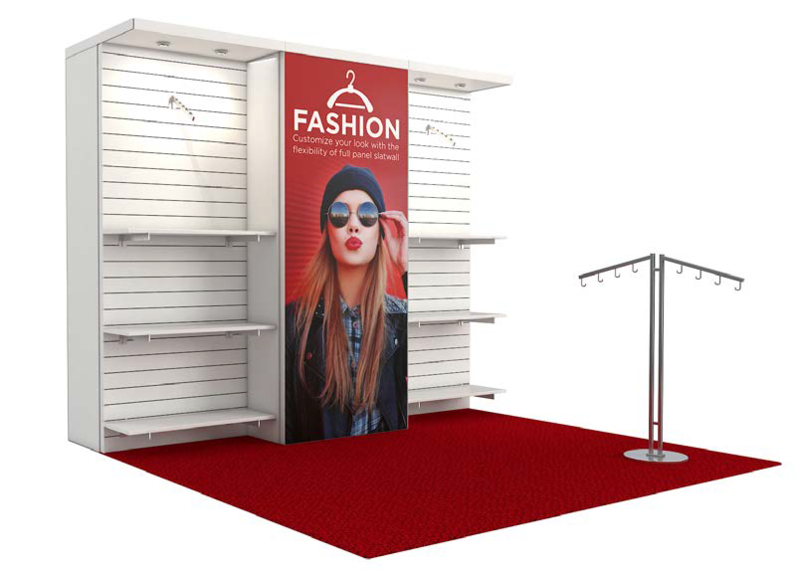 If apparel is your business, this is your booth. You’ll have a center panel for your company name and an impactful brand image or sales messages. Adjustable shelves and hanging racks, including a freestanding rack, let attendees browse through your goods without feeling congested. It’s a modestly sized booth that packs a fashion punch.